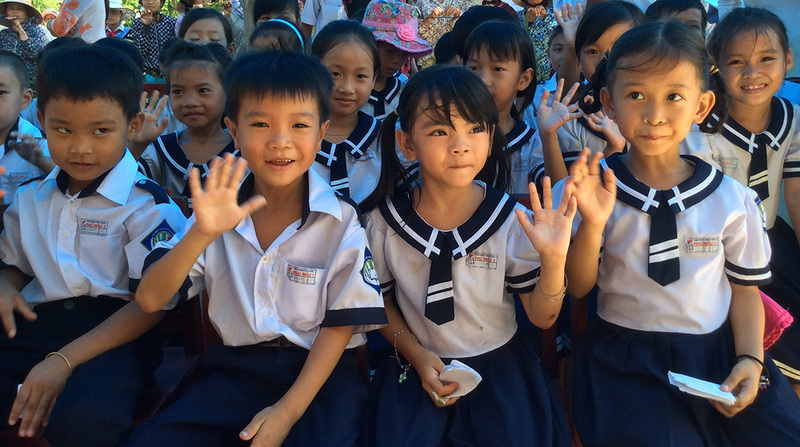 Children go to class daily to learn to read and write at Thanh Xuân Peace Village. 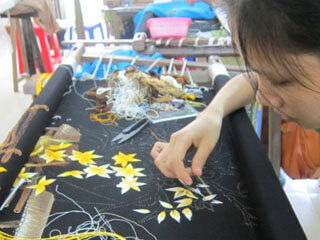 Older students learn how to weave thanks to a volunteer Japanese designer. 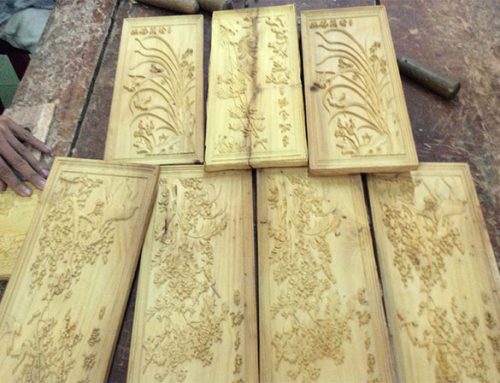 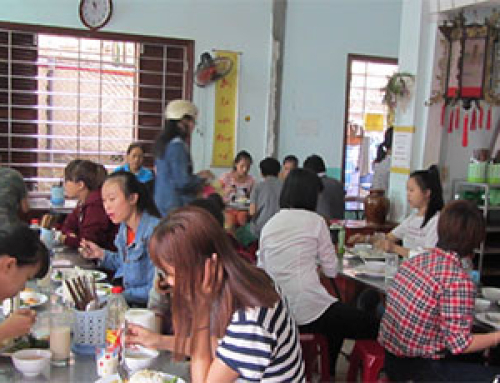 Hundreds of students affected by Agent Orange at Thanh Xuân Peace Village in Hà Nội, have lived, rehabilitated and learned a skill to support themselves at the village. 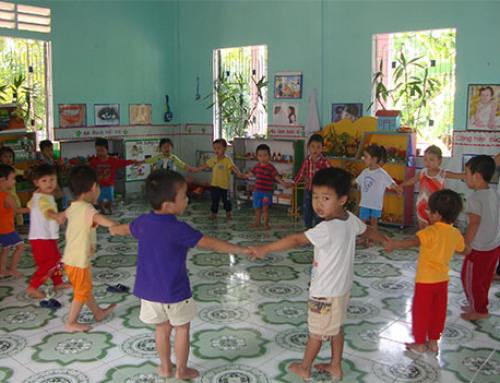 Hundreds of orphans have found their big family at Đức Sơn Orphanage and Kindergarden. 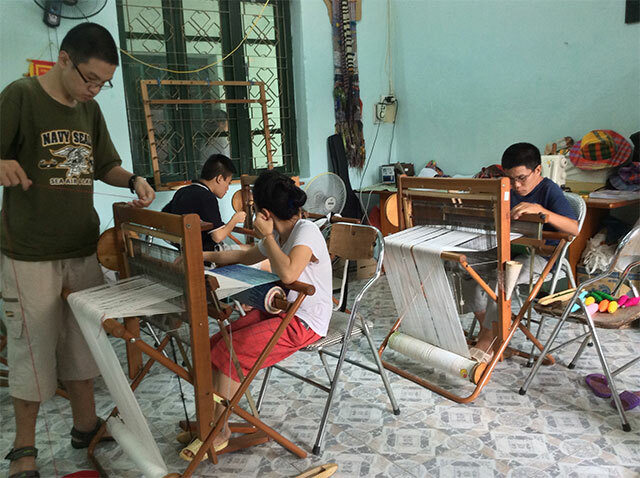 Abandoned when they were babies, the children are cared for by a community of nuns and laity in Huế City. 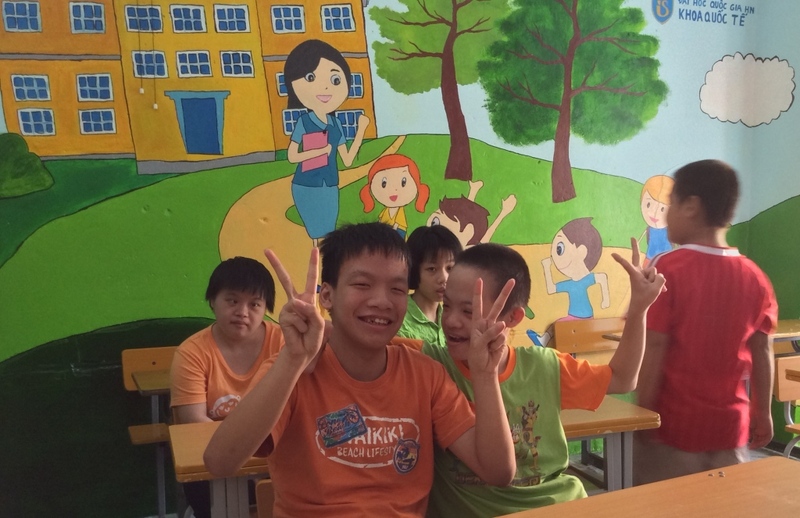 Children in the neighborhood also have access to the rehabilitation unit.